12 Week Flea & Tick Protection. 1 Chew. 0 Worries. March 2015 BRAVECTO is here! Proper flea and tick protection is essential to keeping your dog healthy. Now you can give your dog a safe, effective, tasty chew that protects for three full months. 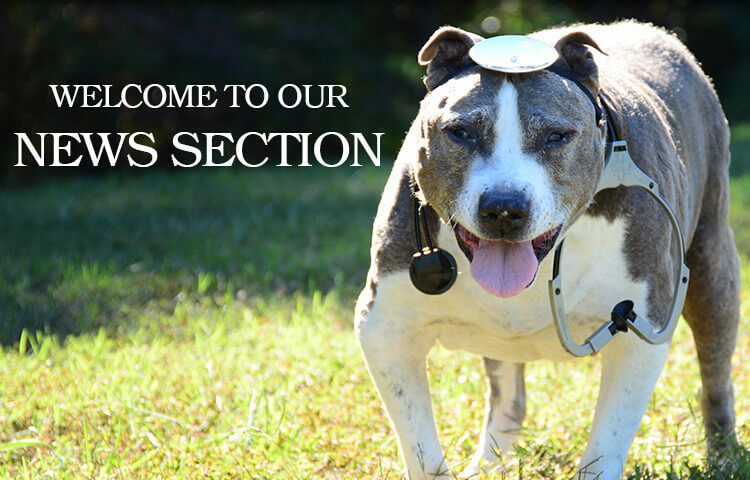 Unlike other flea and tick products, you do not have to fuss with collars or sprays or spot-on treatments. BRAVECTO protects from inside the dog, so it will not rub off on children or furniture. It does not wash off ... and it does not wear off! 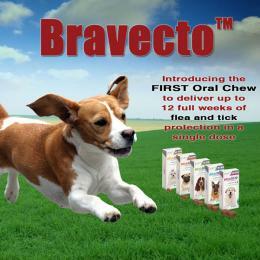 Simply give your dog a BRAVECTO chew with food, and fleas start to die in just two hours. Best of all, your dog is protected for twelve full weeks! We have several promotions this Spring. Get a $50 rebate on your first purchase (ends 3/31) and / or a $15 rebate when you purchase 2 doses, and $35 when you purchase 4 doses. Stop by today to get BRAVECTO for your pooch.